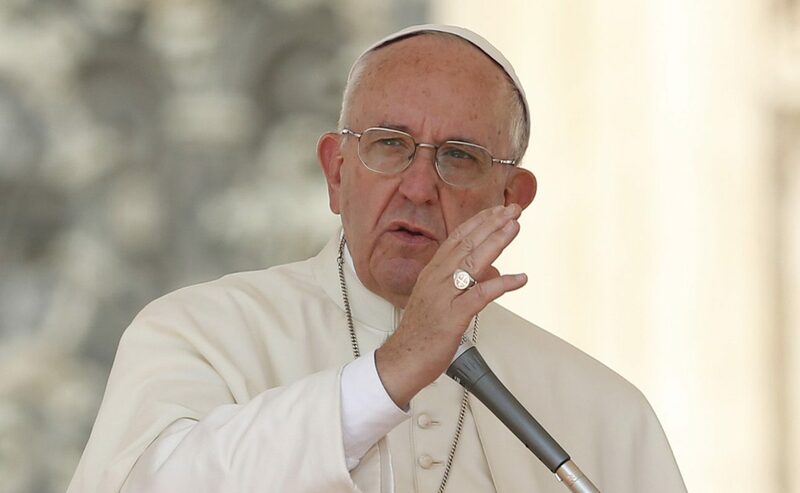 VATICAN CITY (CNS) — Pope Francis has proven to be a master of metaphor and, as fall approached, he increasingly turned to the field of medicine to make his points. At his early morning Mass Sept. 22, he showed that while triage might be his specialty, he is familiar with a range of ailments. The 79-year-old pope also referred to a medical ailment — “rheumatism of the soul” — during his speech Sept. 16 to new bishops, many of whom are still in their 40s and 50s. Talking about the need for and the attractive power of mercy, Pope Francis said that when people in need sense a merciful person is passing by, they will reach out. “They are fascinated by (mercy’s) capacity to stop when so many walk on by; to kneel when a certain rheumatism of the soul keeps many from bending down; to touch wounded flesh when a preference for everything to be sterile prevails,” he said. Another medical problem afflicting souls diagnosed by Pope Francis is “spiritual Alzheimer’s,” a condition that renders some people incapable of remembering God’s love and mercy for them; a clear sign of having the condition is being unable to show mercy to others. When a Christian does not recognize his or her own failings, it is easy to be scandalized by God’s mercy toward other sinners, he said in a video message broadcast Aug. 27 to church leaders from North and South America meeting in Bogota, Colombia, for a continental congress for the Year of Mercy.